As the CBSE declared Class 12 results today, Delhi was third in terms of pass percentage after Thiruvananthapuram and Chennai. The overall pass percentage was 83.01 percent as against last year's 82.02 percent. The best performing region was Thiruvananthapuram in Kerala with a pass percentage of 97.32. Chennai region's pass percentage was second best at 93.87, while Delhi's pass percentage was 89. Last year, Delhi's pass percentage was 88.37. Girls outshone boys in the Delhi region as well with a pass percentage of 93.19 as against boys' 84.93. Prince Kumar topped the science stream with 97 percent among the Delhi Government school students. Chitra Kaushik, with 95.6 percent was the topper on Humanities stream while Prachi Prakash with 96.2 percent was the topper in the commerce stream. The pass percentage of government-aided schools in Delhi this year was 82.79 as against 80.32 in 2017. The pass percentage of private schools was 88.35 this year as compared to last year's was 84.20. The pass percentage of Jawahar Navodaya Vidyalaya was 99.17 this year as compared to last year's 97.04. Kendriya Vidyalayas had a pass percentage of 98.06 this year as compared to last year's 96.59. Sisodia said that 168 government schools achieved 100% results, against 112 last year. 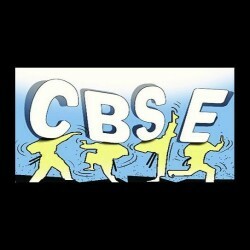 As many as 638 government schools achieved pass percentage of 90 and above, against 554 schools last year, Sisodia said. As many as 16,408 students had compartment, a decline from last year's figure of 19,784. Deputy Chief Minister Manish Sisodia said that the Delhi government schools had a pass percentage of 90.64, against last year's 88.27 percent. Chief Minister Arvind Kejriwal lauded the students and said that the good results were achieved despite many hurdles. "This is despite all obstacles created by LG, BJP ad PM. Congratulations to all students, teachers and principals," he tweeted. Sisodia also posted on Twitter, "Congratulations to all Students, Teachers & Parents for making us pride in CBSE class XII results. Delhi govt School's result is 90.64% which is 2.37% higher than last year which was 88.27%. Congratulations #TeamEducationDelhi You have done it again #DelhiEducationRevolutio n (sic)." Sisodia spoke to the Delhi Government school toppers and congratulated them. "Very proud moment, just congratulated Prince Kumar, topper of Delhi Govt school, Science stream in Class 12, Son of a DTC bus driver has got 97% with 100/100 in Maths, 99/100 Eco, 98/100 in Chemistry," he wrote on Twitter. "It was also touching moment to speak to Prachi Prakash and her family, topper of Delhi Govt school, Commerce stream in Class 12. Daughter of a small private company executive, Prachi got 96.2% with 100/100 in Eco, 99/100 in Math," he said. "Was wonderful to talk to a very excited Chitra Kaushik, topper of Delhi Govt school, Arts stream in Class 12. Daughter of an ASI in Delhi Police, she got 95.6% with 100/100 in History, 97/100 in Pol. Science," Sisodia added. Over 11 lakh students had registered for the Class 12 examination, which was marred with controversy over the paper leak issue. The board had conducted a retest of Class 12 economics paper on April 25, nearly a month after it was leaked triggering widespread outrage and confusion among students across the country.